By the early 1980s, this review procedure was placing considerable strain on the ATO’s resources, especially with the growth in the number of objections. With about 10 million returns to review, and with quotas applying to ATO assessors (plus an increasing incidence of taxpayer objections), it was estimated by the Australian National Audit Office that an average individual return would have received optimum scrutiny of a mere handful of minutes. Change was necessary, and that change came in the form of the system of self-assessment. With this approach, taxpayers’ returns are accepted at face value in the first instance, with the ATO subsequently verifying the accuracy of the information in the return within a prescribed period after that initial assessment. From 1989-90, the returns of companies and superannuation funds became subject to the system of full self-assessment, under which entities calculate their liability and pay that tax liability when lodging a return. Naturally, the system of self-assessment led to increased demand for more guidance from the government’s tax revenue agency. 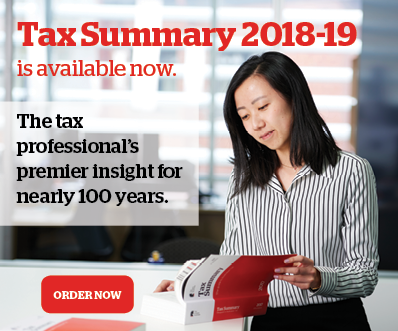 While a significant part of the ATO’s role in administering Australia’s tax system has always been to provide interpretative advice on issues of taxation law, the system of self-assessment — which heavily relies on taxpayers having some understanding of tax matters in order to fulfil their obligations — significantly increased demands (from all parties involved) to have a much more robust body of tax guidance that the accounting and tax professional sector, and taxpaying public in general, could more confidently rely upon. In response to this demand, and in a relatively short time after the 1986 change to the tax system, the Taxation Laws Amendment (Self Assessment) Act 1992 was introduced to establish a more robust public tax rulings system. This was launched with an intention for rulings to be legally binding on the Commissioner of Taxation, and on which taxpayers could confidently base their tax affair decisions. It should be noted that a formal taxation rulings system had already been in place before this, but the 1992 reforms changed the status of such rulings. They went from being documents that represent the Commissioner’s view on the application of tax law (described in previous rulings as documents that “do not and cannot supplant the terms of the law”) to become legally binding statements of tax law advice — and therefore reviewable by the Administrative Appeals Tribunal or the courts. a new interest system for underpayments or late payments of income tax, based on commercial principles and market interest rates. In the years since, the government has shortened the period of review for taxpayers with straightforward tax affairs, introduced binding oral advice, reduced the rate of interest on shortfalls and late payments, and introduced the office of the Inspector-General of Taxation to make sure the system runs smoothly and to offer advice on fixing anomalies when they occur. The modern taxation rulings system allows the ATO to make binding rulings that the Commissioner must honour, meaning that a taxpayer who relies on a ruling cannot later be penalised by the ATO, even if the view expressed in the ruling is later found by a court or tribunal to be incorrect. Private rulings — advice on the application of tax law to a particular taxpayer in relation to a specified arrangement. Oral rulings — advice on a simple matter related to the tax affairs of a taxpayer who is an individual. Note that the ATO itself divides its public rulings into three main categories, or series. These are income tax and FBT public rulings (TR, TD and CR series), GST public rulings (GSTR and GSTD series) and product rulings (PR series). The characteristics of the main categories of taxation rulings are outlined below. Public rulings (taxation rulings, taxation determinations, law companion guidelines): The taxation rulings series of public rulings set out the Commissioner’s opinion as to the way in which a tax law applies to a person or a class of persons in relation to an arrangement or a class of arrangements. Significant features of these public rulings are that they are legally binding on the Commissioner and only relate to arrangement/s that began to be carried out after 1 July 1992. Taxation determinations are similar to the taxation rulings series of public rulings, except they are concerned with smaller, more specific issues than those examined as part of a taxation ruling. Law companion guidelines also become public rulings when they are finalised. Goods and services tax (GST) public and private rulings: These are similar to other public rulings. However, the ATO is also legally bound by information contained in GST fact sheets, information booklets, advice manuals, bulletins and product manuals. The ATO is not legally bound by these materials in respect of other taxes. GST private rulings set out the Commissioner ’s opinion in relation to a particular GST issue for a particular entity. Class rulings: These are a type of public ruling and enable the Commissioner to provide legally binding advice in response to a request from an entity seeking advice about the application of the tax law to a large number of persons in relation to a particular arrangement. Class rulings are designed to meet a need to provide rulings to taxpayers in circumstances that are not readily met by the established private rulings and public rulings mechanisms. For example, the class ruling will obviate the need for a private ruling to be sought by, or on behalf of, every person who may be affected by a particular arrangement. Product rulings: These are public rulings that set out the Commissioner ’s opinion as to the taxation consequences of particular investment products and schemes marketed to groups of taxpayers as tax-effective arrangements. These rulings were designed to provide some level of protection to taxpayers by providing certainty that the tax-effective arrangements proposed by promoters comply with the Commissioner ’s interpretation of the taxation law. Private rulings: These set out the Commissioner’s opinion (upon receipt of an application from a taxpayer) as to the way in which the tax law would apply to that taxpayer entering into a particular arrangement for the year of income referred to in the private ruling. A private ruling is legally binding on the Commissioner but only applies to the particular scheme or circumstance that it describes. material facts were omitted from the private ruling application, or were misleadingly or inaccurately stated. If the ATO made a ruling about a provision of the law and the provision is amended, the ruling is taken to be about the amended provision to the extent that it expresses the same ideas as the old law. However, if the law is “substantially changed”, the part of the ruling dealing with the changed law ceases to apply. Oral binding rulings: These set out the Commissioner ’s opinion in relation to a taxpayer inquiry on a simple income taxation issue. The oral advice provided is legally binding on the Commissioner. Broadly, they apply only to payments in respect of salary and wage earners, payments to company directors, payments to office holders and Commonwealth education or training payments. matters the ATO has either already ruled on or is in the process of considering. they involve a calculation that’s not covered by an online calculation tool. Taxation rulings issued before 1 July 1992: These set out the Commissioner’s opinion regarding income taxation matters and are administratively binding on the Commissioner, in contrast to public rulings and private rulings which legally bind the Commissioner. Pre-July 1992 rulings differ in effect from present taxation rulings only in that they cannot contain legally binding material (that is, be a public ruling). If a taxpayer follows the advice, but the ATO later finds out that it doesn’t apply the law correctly (and none of the points above apply), a taxpayer will be protected from having to repay amounts of tax that would otherwise be payable, and any penalties and interest on those amounts. Law administration practice statements (LAPS) — these are not law and are not public rulings. They are not intended to provide interpretative advice, but technical issues may be discussed. They provide guidance to ATO staff on a particular matter. ATO interpretative decisions (ATO ID) — these are edited versions of a decision the ATO has made on an interpretative matter and gives an indication of how it might apply a provision of the law. 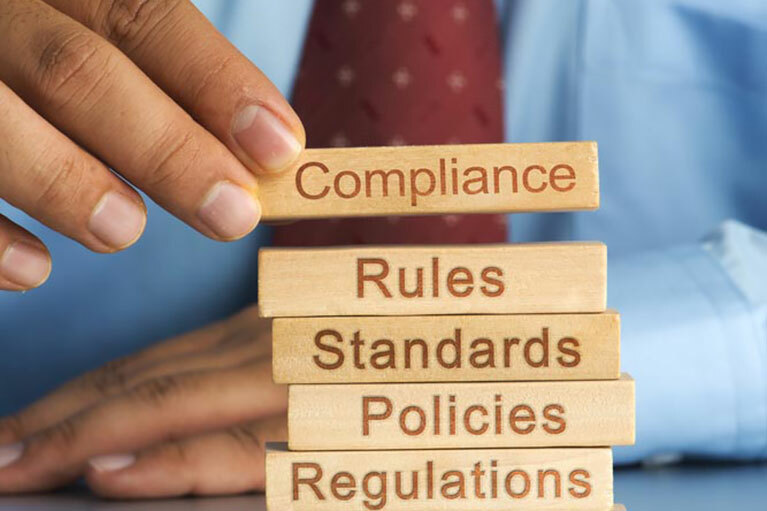 ATO IDs help it apply the law consistently and accurately, and set out the precedential ATO view that it must apply in resolving interpretative issues. ATO IDs don’t provide advice to taxpayers and they are not rulings. Taxpayer alerts (TA) — these warn taxpayers on an emerging tax planning issue. Each taxpayer alert describes an arrangement, the ATO’s concerns and what it is currently doing about the arrangement. Taxpayer alerts do not provide the ATO view, but will often state if it expects to issue advice or guidance on the arrangement following the taxpayer alert. Decision impact statements — these outline the ATO’s views on a court or tribunal judgment. It is worth noting also that the ATO is not the sole source of taxation rulings or advice. Some taxpayers prefer to take private advice, and some (for example, taxpayers with larger tax liabilities) may seek to rely on a judicial outcome regarding a “reasonably arguable position” rather than to seek definitive advice of the ATO. Australia’s current tax system establishes this as a right for taxpayers.